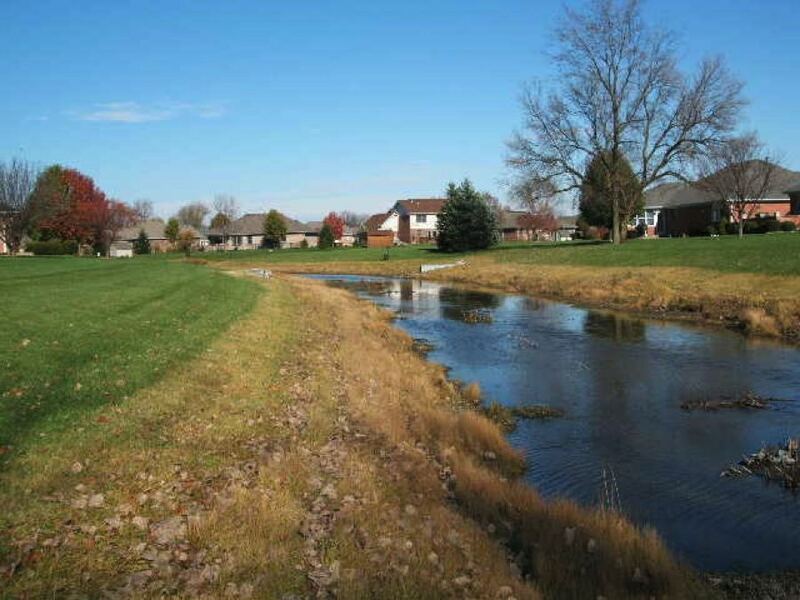 Project Type: Installation | Owner: Indianapolis Colts, Inc.
Pond edge planting systems have been devised as an alternative to rip-rap or mowing to the water’s edge. 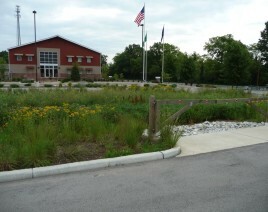 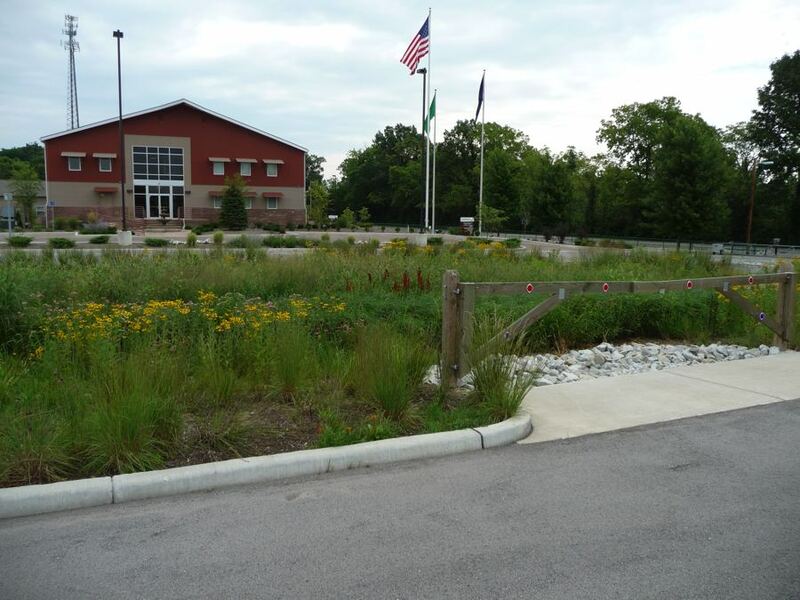 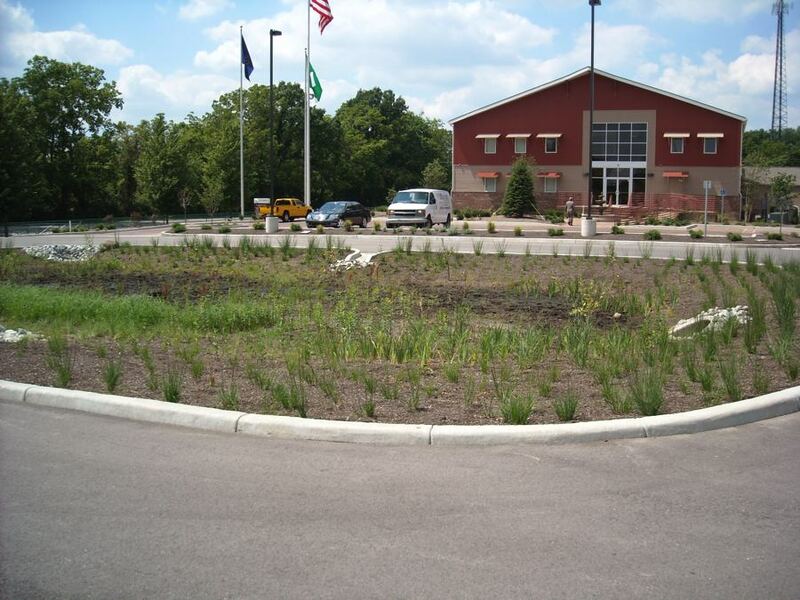 Planting a pond’s edge with a variety of native grasses, sedges and forbs has many benefits both environmentally and aesthetically. 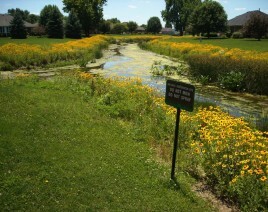 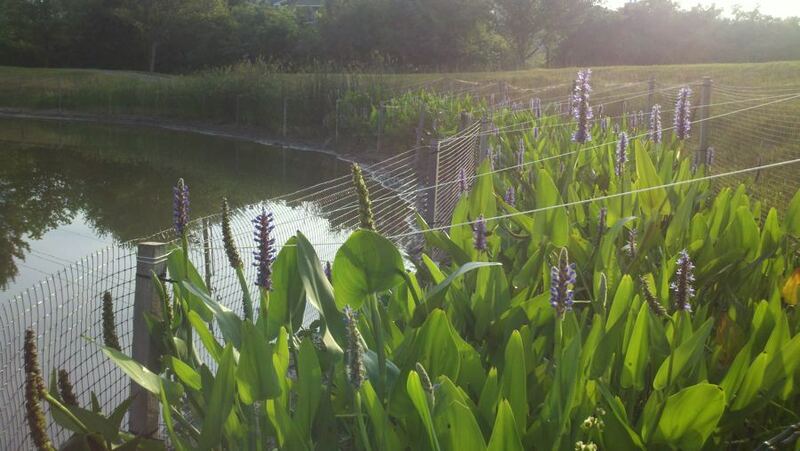 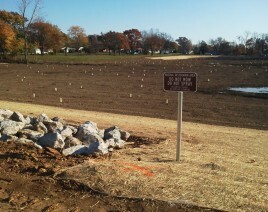 Environmentally, pond edge planting systems prevent shoreline soil erosion (bank slumping) around the pond. 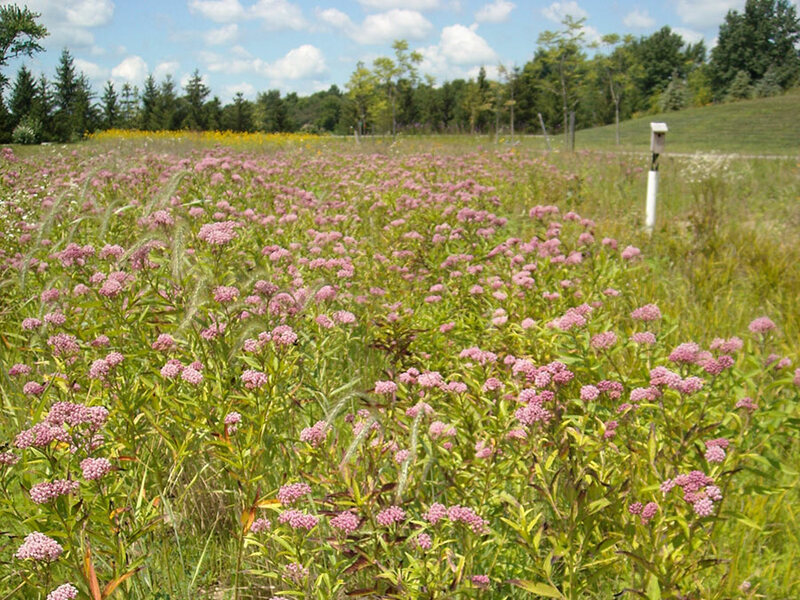 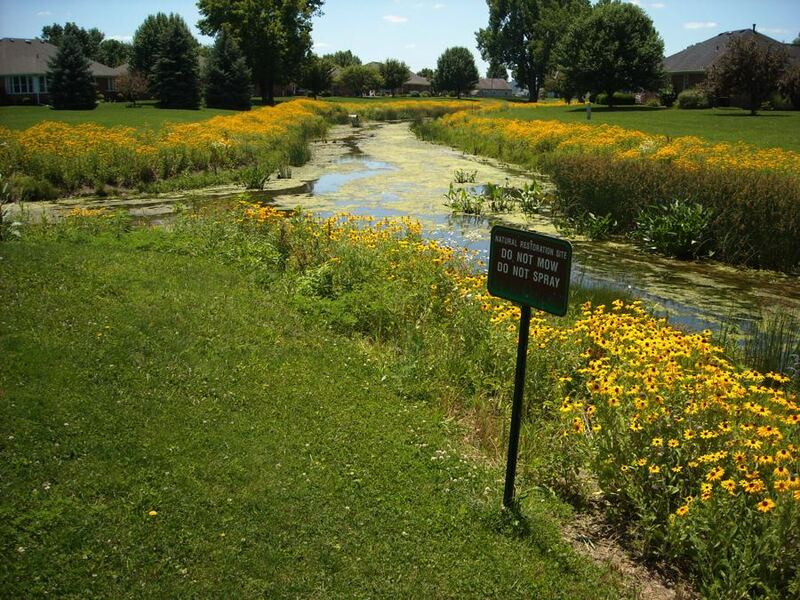 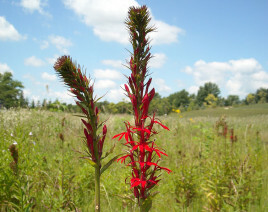 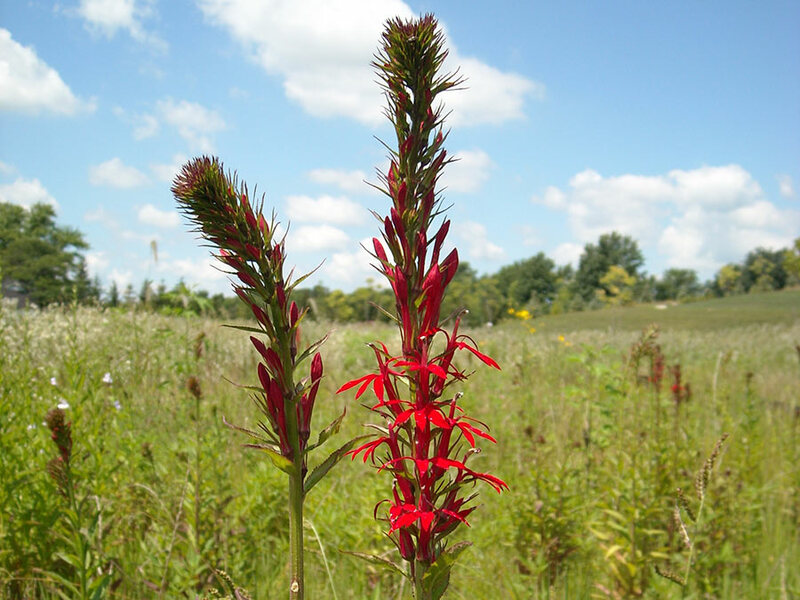 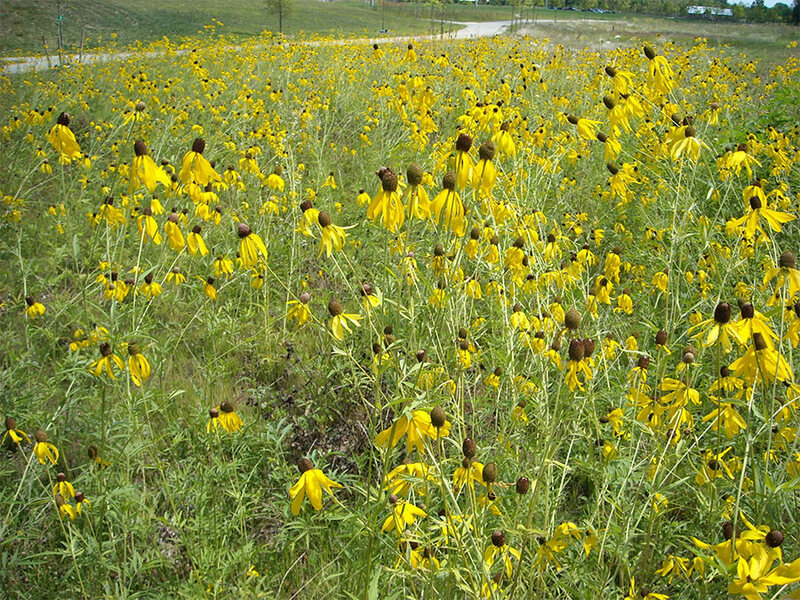 The native plants’ deep rooting systems (2’-6’) hold pond banks together while typical turf grasses only provide a root system of a couple of inches, preventing erosion and sedimentation to keep water clear. 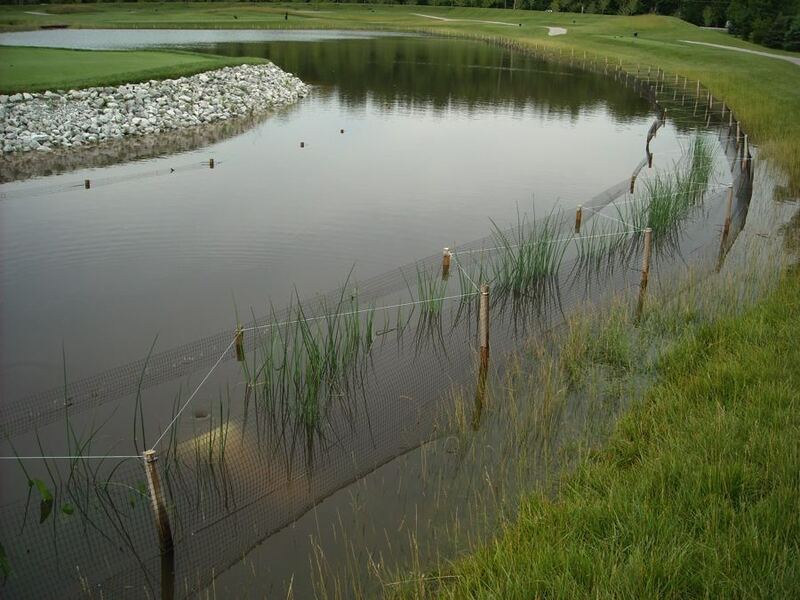 These deeper root systems will tighten the soil around the pond to help mitigate any future erosion issues due to wave energy and fluctuating pond levels. 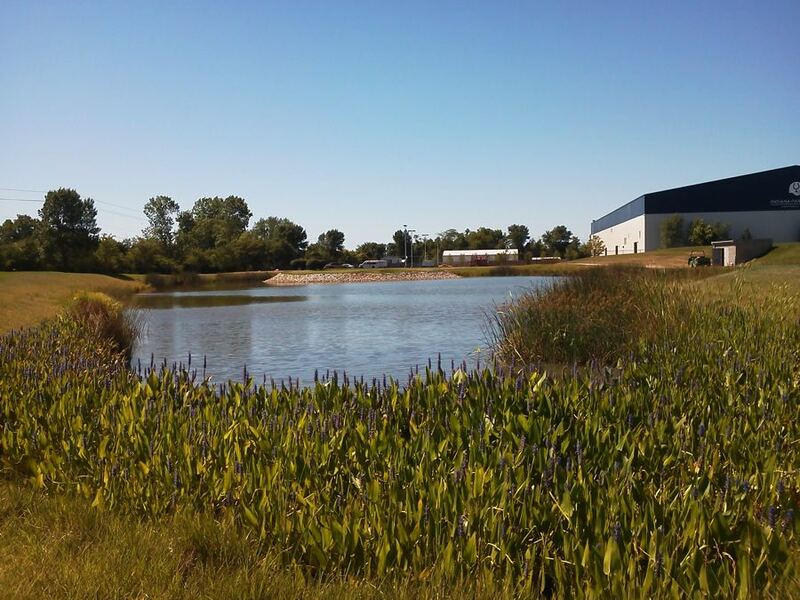 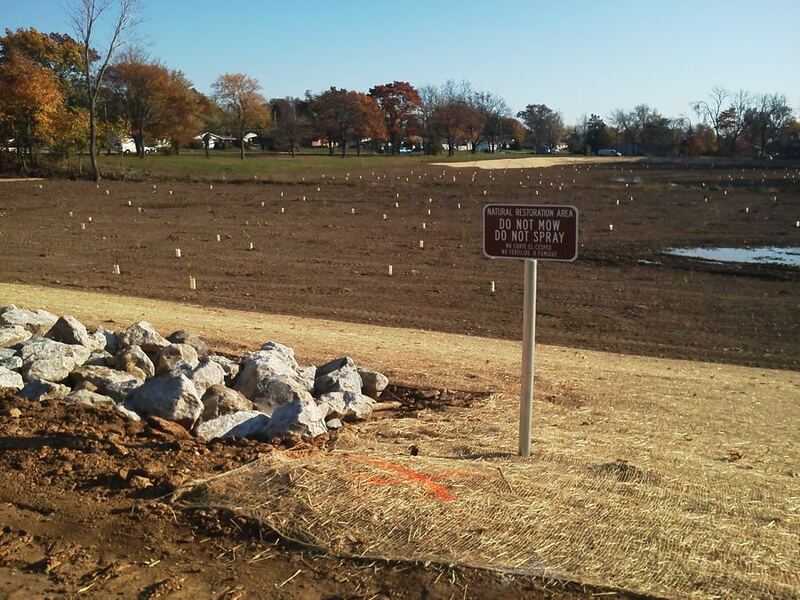 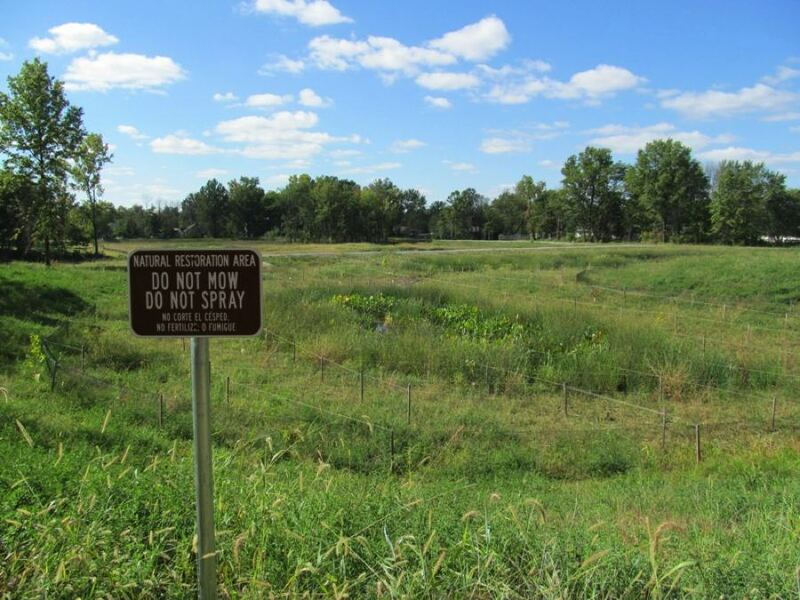 Williams Creek Management naturalized the shoreline of two eroding pond shorelines at a professional footbal complex in Indianapolis to control sedimentation and improve water quality and also installed waterfowl exclusion fence to prevent erosion from Canadian Geese.